The claimed ARAI mileage: Nissan Micra Diesel is 23.19 kmpl. The claimed ARAI mileage for the automatic variant: Nissan Micra Petrol is 19.34 kmpl. Micra-wave Nissan began its Indian innings with the Micra, even though the Teana and the X-Trail where on sale. This B+ hatchback was the company?s first mass production model for India. 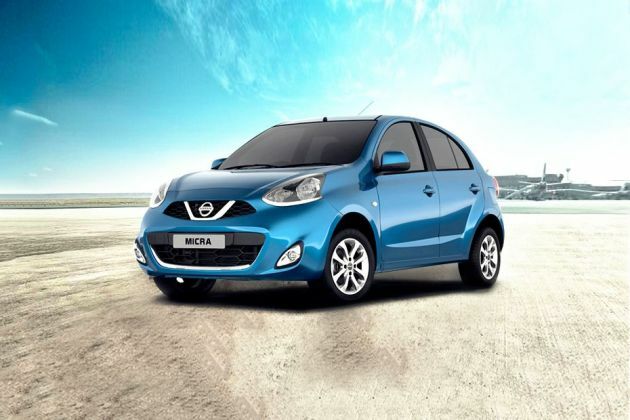 The Nissan Micra got a facelift recently and we had the opportunity to drive the Nissan Micra in Madurai. Q. Is CNG kit suitable for Nissan Micra? We don't suggest you put a CNG kit in your Nissan Micra because of certain points 1) It will decrease the power of the engine. 2) CNG kit will eat up your boot space as well. 3) Available of the CNG pumps is less. 4) It might void the warranty of your vehicle as well. Q. Which engine oil should I use? The Synthetic 5W40 is the best engine oil for the Nissan Micra, but it is recommended to use mineral engine oil for the initial 10,000kms. Q. I need to know how many kilometers can a Nissan Micra go when the fuel gauge starts indicating low fuel warning. And what is the actual amount of fuel that's in the tank. Nissan Micra comes with a 41 Litres tank and the exact amount of fuel left in cars varies from car to car but the last fuel indicator bar starts blinking when there is around 3-4 litres fuel left in the tank. How long will it go depends on the mileage of the car and driving style. Hello Sandeep, Please go ahead and have a look at the service cost of Nissan Micra by clicking here https://www.cardekho.com/nissan-micra/service-cost.htm , talking about the resale value it depends on how you maintain the car and also how much you drive it, we would suggest you to contact us onto our toll free number which is 1800-200-3000(Monday to Saturday, 10:00 to 19:00) so that we can arrange a call from the dealer and also can tell you more about Nissan Micra.